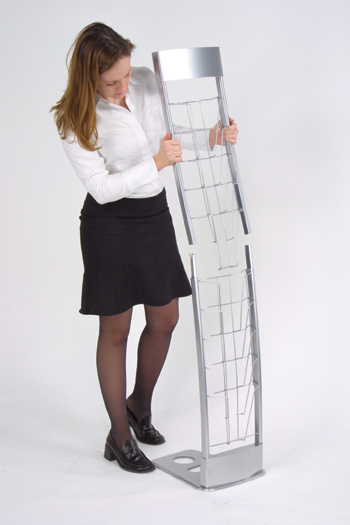 These portable 10-pocket single sided racks are perfect for trade show booths! They are capable of displaying 8.5" x 11" literature in a stylish, organized fashion. 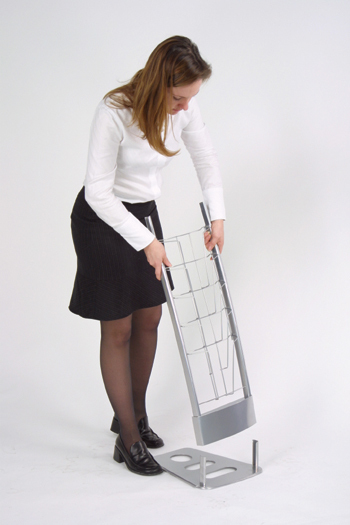 Available in black or silver, these racks are sure to complement your tradeshow setup. 1. Remove display from included carrying case. 2. Attach bottom section to base. 3. Attach top section to bottom section. 4. 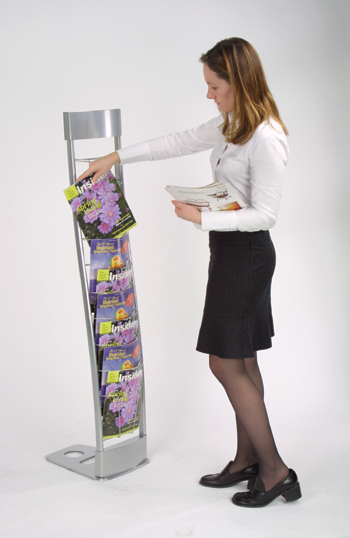 Load rack with magazines or custom literature!